Photos - Doug Grad Literary Agency, Inc. 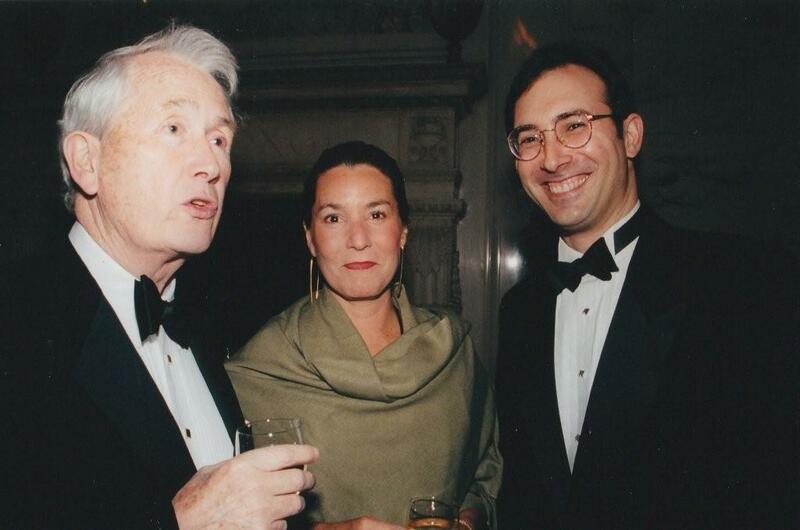 The late Frank McCourt, wife Ellen Frey McCourt, and Doug Grad at the Literary Guild dinner in 2001. McCourt was Doug's creative writing teacher at Stuyvesant High School in Manhattan and even wrote Doug's college recommendation. Click on the photo to see the recommendation! Doug with historical novelist Jeff Shaara. Doug edited his first two novels--Gods and Generals and The Last Full Measure. Doug with John Jakes, the hugely popular bestselling historical novelist. 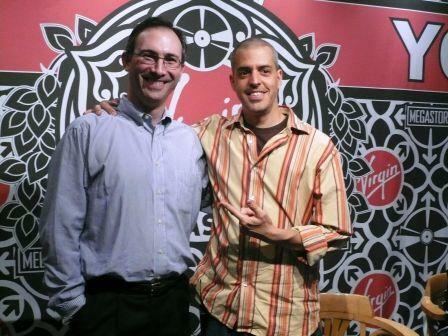 Doug edited his 15th and 16th consecutive New York Times bestsellers. Doug with Tug McGraw, the late New York Mets and Philadelphia Phillies relief pitcher and father of country singer Tim McGraw. Tug passed away a few months before his book was published--it was a New York Times bestseller. 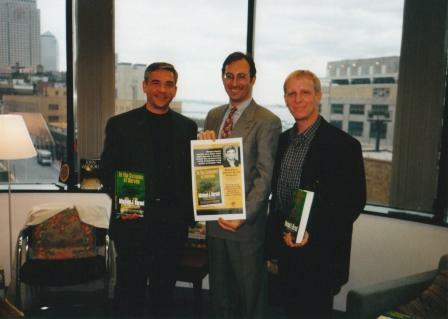 Doug with Mike Durant (l.) and Steve Hartov (r.). Mike was the helicopter pilot shot down in Black Hawk Down, spending perhaps the strangest eleven days in captivity in the history of POWs. A true American hero. 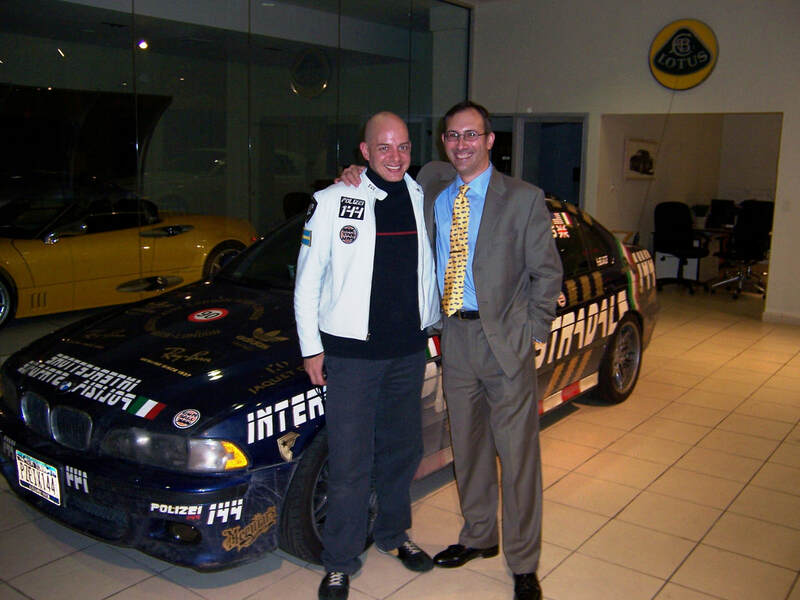 Doug with Alex Roy, the legendary illegal road rally king, and his equally legendary BMW M5 Polizei Interceptor. Alex drove from NY to LA in 31 hours and 4 minutes. And half of that was just getting out of the Holland Tunnel! Doug with Justin Bua, the supremely talented artist who created a style he calls Distorted Urban Realism. His artwork is crazy and cool and brilliant! 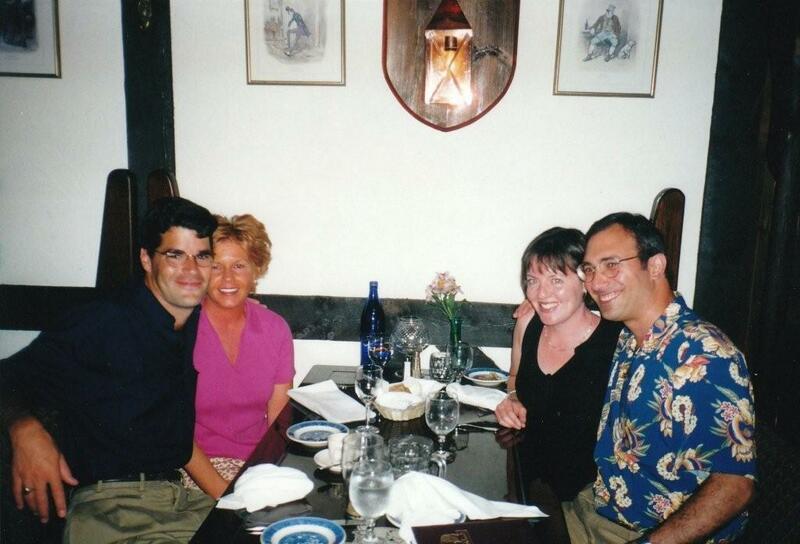 Doug and his wife Kim with Jack and Debbie Du Brul. Jack, one of the most talented young action/thriller writers out there, now writes with Clive Cussler. Doug with Bill Simpson on the publication of his in-depth biography of Prince Bandar of Saudi Arabia entitled, fittingly, The Prince, for all of Bandar's Machiavellian ways. The book's publication was a stellar event at the Library of Congress in Washington. 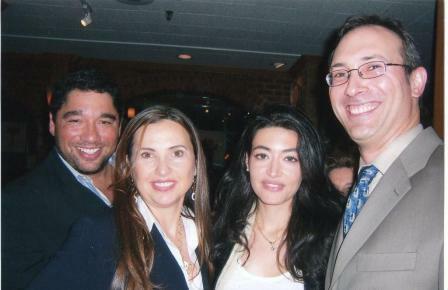 Doug with Wild Bill Stanton, Judith Regan, and Wafah Dufor. Judith was Doug's boss at HarperCollins at her own imprint, and they had worked together at Simon & Schuster back in the late 1980s. Doug with Philip Carlo on the publication of his book Gaspipe, about Lucchese family crime boss Anthony Casso--who happened to be Phil's neighbor in Bensonhurst, Brooklyn back in the 1960s and '70s. Maria Cooper Janis (the daughter of actor Gary Cooper!) with Doug at Steinway Hall on publication of Byron Janis's book. Concert pianist Byron Janis with Doug at Manhattan's Steinway Hall on publication of his book Chopin and Beyond. Doug with the great jazz guitarist John Pizzarelli at the Carlyle Hotel upon selling his book, World on a String: A Hip Musical Memoir. Chairman of the Joint Chiefs of Staff, Gen. Hugh Shelton with Doug in the Green Room at the Daily Show to promote his memoir, WITHOUT HESITATION. Doug with noted fashion writer G. Bruce Boyer, Maria Cooper Janis, Sartorialist blog founder/blogger/photographer Scott Schuman and powerHouse editor Wes Del Val at the book launch for GARY COOPER: Enduring Style. 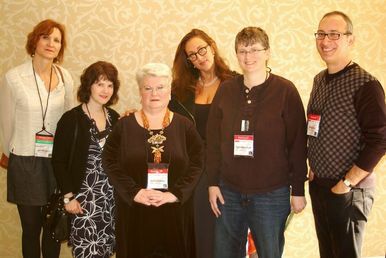 Doug and his fellow panelists at the 2011 New England Crime Bake (l. to r.) ?, J. Rosen, Ann Collette, Donna Bagdasarian, and Terri Bischoff. 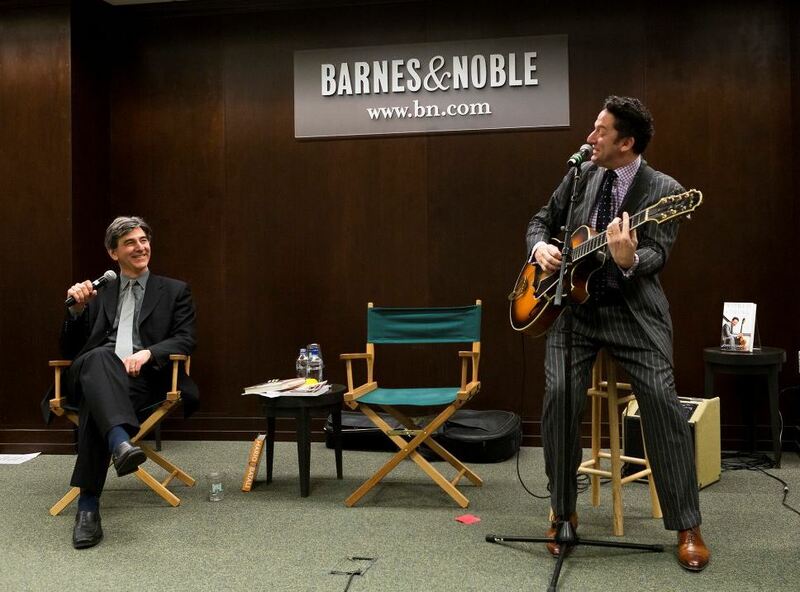 Front row: Co-authors Joe Cosgriff and John Pizzarelli. 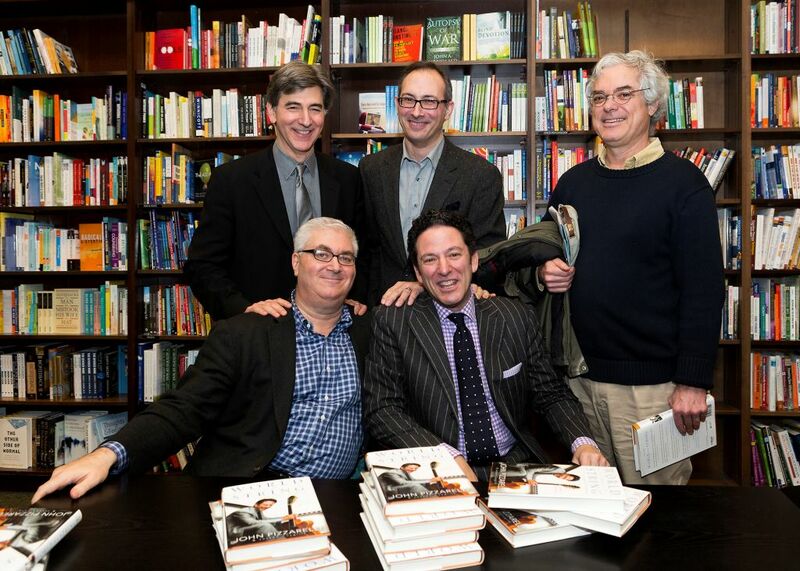 Back row: Budd Mishkin from NY1, Doug, and Vanity Fair scribe David Margolick at the signing for WORLD ON A STRING at the Upper West Side Barnes & Noble. Not your typical book signing event--Mishkin interviews while Pizzarelli plays. 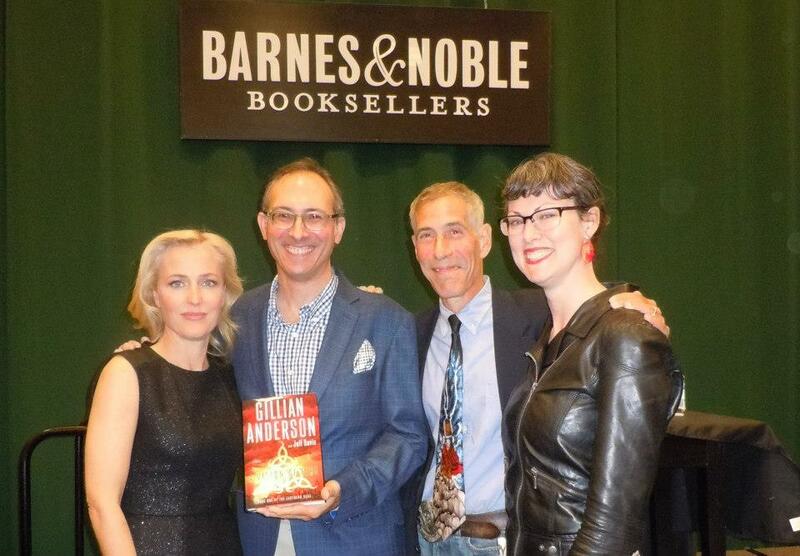 Gillian Anderson, Doug, co-author Jeff Rovin, and researcher extraordinaire Clare Kent celebrate the publication of A VISION OF FIRE at the Tribeca B&N. C.J. Carpenter, author of HIDDEN VICES and Terrence McCauley, author of SYMPATHY FOR THE DEVIL flank Doug at the Mysterious Bookshop in Lower Manhattan. 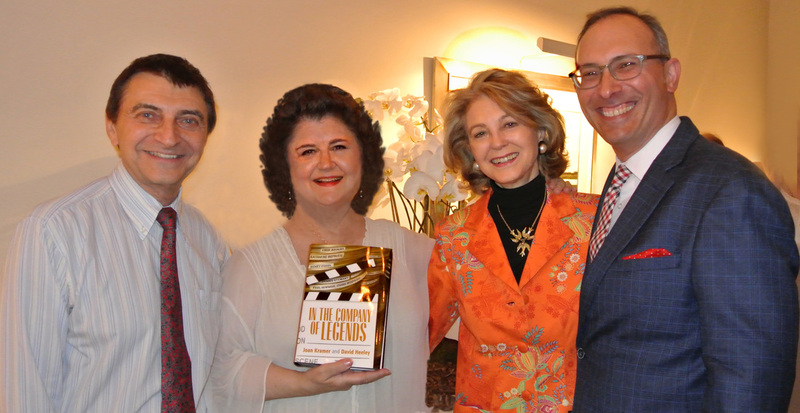 Documentary filmmakers David Heeley and Joan Kramer with Maria Janis (who introduced us) at the publication party for IN THE COMPANY OF LEGENDS. 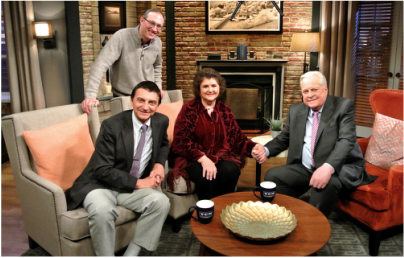 Doug on the Turner Classic Movies set with the authors of IN THE COMPANY OF LEGENDS David Heeley and Joan Kramer, and host Robert Osbourne. Author Richard Probert, Dan Slater of Amazon, and Doug at BEA in Chicago, 2016. Author Richard Probert and Doug at the Beaufort Books booth with the cover of Richard's novel, THAT GOOD NIGHT, at BEA in Chicago, 2016. 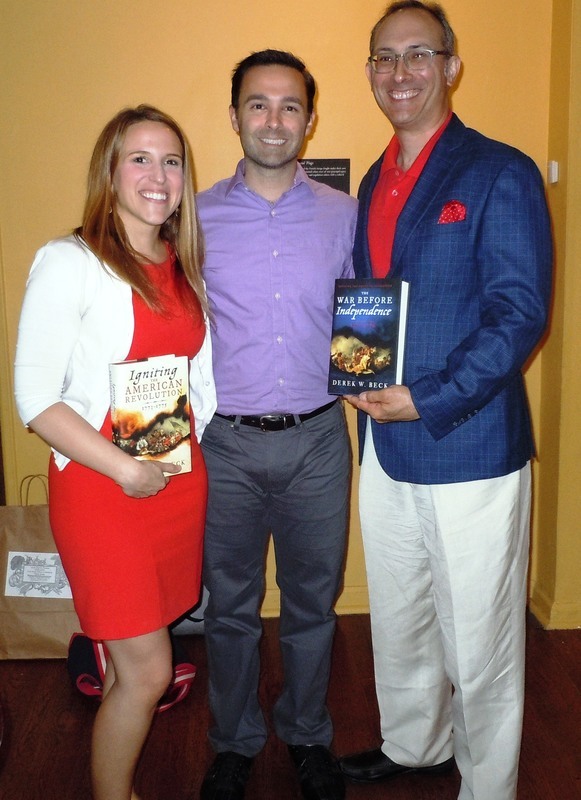 With editor Stephanie Bowen and author Derek Beck at a talk and signing at the Fraunces Tavern Museum for his books IGNITING THE REVOLUTION and THE WAR BEFORE INDEPENDENCE. Bernard King's memoir GAME FACE was promoted on the marquee of Madison Square Garden! 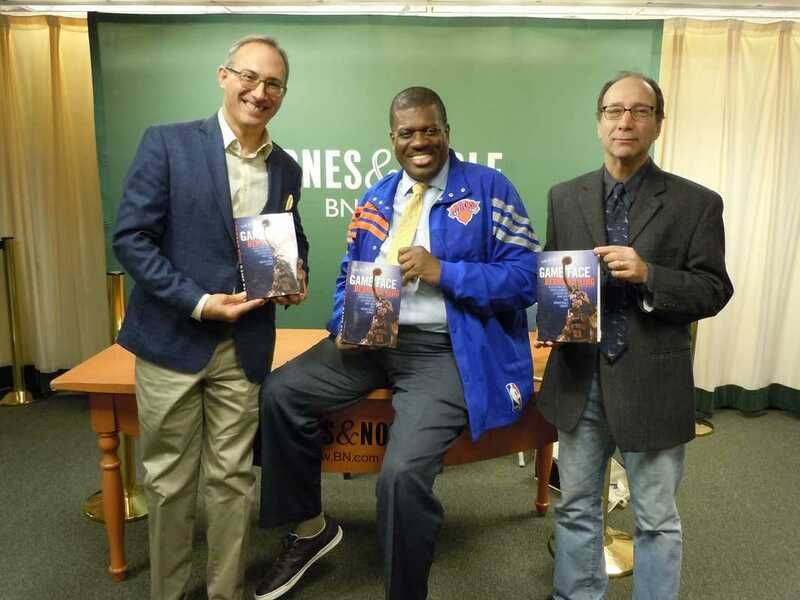 Doug, with GAME FACE authors Bernard King (also an NBA Hall of Famer!) and Jerome Preisler at a B&N signing, November 2017. 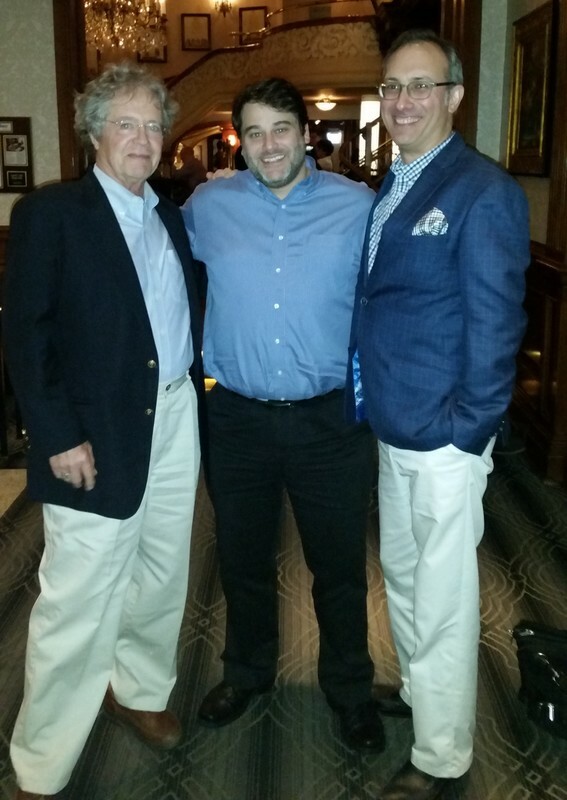 Doug with 1970s Mets relief pitcher Skip Lockwood (author of INSIGHT PITCH) and Ed Randall (Host of WFAN show "Ed Randall's Talking Baseball) at the Yale Club, May 2018.